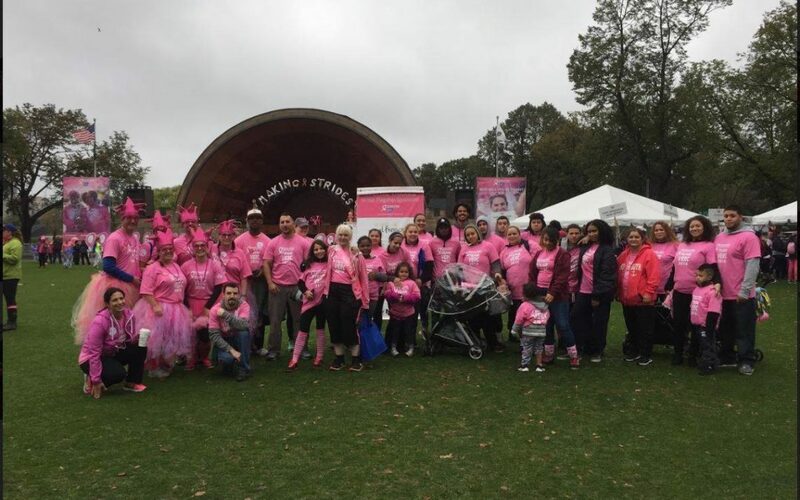 This article first appeared in the Winter 2017 issue of Massachusetts Family Business magazine. The Massachusetts Family Business Conference convened this year in Boston’s celebrated Colonnade Hotel on Oct. 25; the annual Family Business Awards ceremony preceded the conference. If the focus of the all-day, eight-session conference had to be distilled into a single word to reflect the theme, it would be “planning.” An understanding of the consequences long-term planning has for the success of a family business was the basis on which all discussions were built that day. Though attendees had the difficult task of choosing which of the concurrent sessions to attend, common themes ran through each: managing generational transitions, the importance of an outside perspective for the vitality of a family business and how a carefully chosen board of directors can be the best management decision a leader will make were among the repeated ideas. The singular outlier was an extraordinary workshop on cybersecurity that was moderated by a former chief information security officer for the White House. Even there was an understanding of the value of looking to the horizon to ensure a company’s wellbeing. The Power of Planning was one of the opening sessions and featured the founder and president of Royal Health Group, James Mamary Sr., along with his son, and James Mamary Jr., executive vice president. 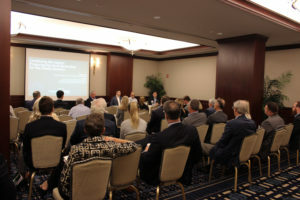 Also in attendance were Bruce F. Hoffmeister, director of wealth and fiduciary planning for Wealth Advisory Services, and Matt Allen, associate professor of entrepreneurship at Babson College. It was moderated by Mark Andersen of Wilmington Trust. Wilmington Trust conducted a quantitative and qualitative survey of 200 owners of privately-held businesses and found that only 58 percent of those surveyed had some semblance of a succession plan in place. Andersen asked the panel to “open the kimono” and discuss ways they’ve breached the subject of succession planning. An audience member chimed in that such a discussion with his father, who is the current leader of their company, consistently ends abruptly because, he supposes, it is linked to his father’s own mortality. Succession planning, like arranging a will, is not something people like to think about, but is necessary for the future. “We have to get past the barriers we have of sharing information,” Allen said. With the importance of creating and maintaining an environment that fosters open, constructive communication, one of the panels that immediately followed ran with these ideas a bit further. David Karofsky of The Family Business consulting group led the discussion by introducing the daunting statistic that merely a third of family-owned businesses survive the transition from first generation to second. Karofsky was joined by Jacob Grossman, Andrew Salmon and Ethan Becker to discuss the reasons behind this slim survival rate and offer tips on increasing a business’ odds. The focus again hinged on proper, careful planning for the future, having an objective valuation performed prior to any transition and the management of assets so that neither generation is left lacking resources. Lunch followed, with keynote speaker Howdy Holmes. During his address, he assessed the stunting effect that routine can have on a person. He punctuated this point with a simple experiment; he elected two people and tasked them with having a conversation with a simple caveat: they cannot use first-person pronouns. They didn’t get beyond asking “how are you?” His point was rote responses and the ease of slipping into familiar patterns can, at best, keep us from new experiences and, at worst, hobble our personal growth due to these missed opportunities. One of the first panels of the afternoon was sponsored by Webster Bank, and featured family business consultant Tom Davidow, the father and son team of Geoff Wilkinson Sr. and Geoff Wilkinson Jr. of George T. Wilkinson Inc., and Aviva Sapers, third generation president of Sapers & Wallack Inc. They focused on management issues and transition periods in family businesses. Davidow set the table by reminding the audience that the desire for family harmony can sometimes result in avoidance of difficult issues that need to be resolved for the business to thrive. He cited the timely example of substance abuse by a family member, a problem that “every knows about, but nobody wants to talk about.” As a result, other important conversations cannot take place, and the business suffers. The key is to learn how to communicate more openly and completely. It helps to seek outside resources who can help “quiet” family conflicts so that business needs can emerge. This call for an outside perspective was one of the common threads found in many of the day’s workshops. Wilkinson Sr. stressed the importance of an objective business valuation, saying, “You want to be taken care of after all the time and hard work you put in” and a valuation can quantify that effort. The conversation then turned to the dual minefields of non-participating family members influencing the business and compensation. On the first point, Sapers was blunt: “No business involvement? No ownership. No compensation. No control.” The rest of the panel agreed. The question of compensation – specifically, if it should scale with responsibility or be spread evenly among participating family members – received no such easy answer. A one-size-fits-all solution to this problem does not exist, and it’s a conversation that needs to happen within the family. Davidow also noted that if the relationship among family members is not intact, the business is at risk. In the session that immediately followed, the role of objective perspective was looked at more closely. 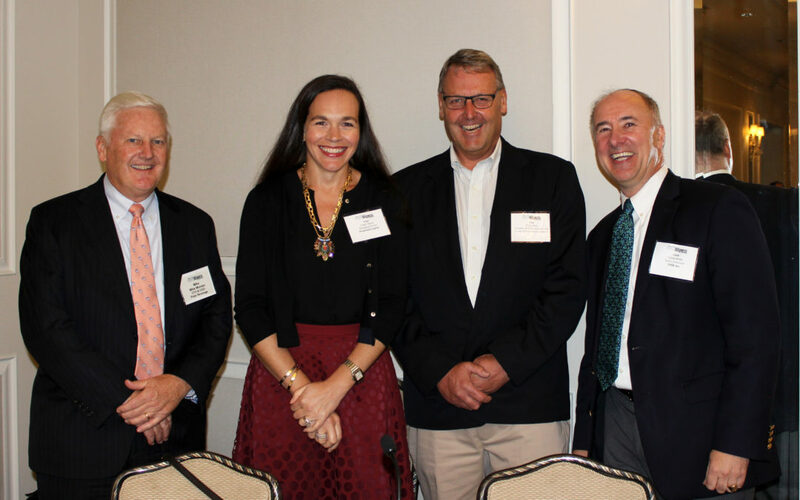 The panel was sponsored by the law firm of Tarlow Breed Hart & Rodgers, and featured family business consultant Ed Pendergast, CPA Ken Kirkland, financial consultant Aviva Sapers and attorney Tom Sheehan. 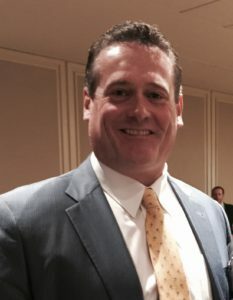 Pendergast, who has guided dozens of businesses successfully through generational transitions and serves as a director on multiple boards, recommends a business establish an outside board of advisors early on, as a family business can benefit from having a “civilian” in the room with a third-party perspective. A panel moderated by Christopher Mellen, who was a former chief information security officer for the White House, successfully broadened the focus of the conference by hammering home the point that cybersecurity should be a primary concern for all businesses, regardless of size or industry. Mellen pointed to data gathered by Juniper Research which projected that the global cost of cybercrime would crest $2 trillion by 2019. He and the panel broke down the variety of tactics hackers to breach a network, and the use of viruses, worms, trojans and malware. They then went into a brief case study on phishing, one of the more preventable forms of data breaches. Despite this, however, it’s one of the most consistent scheme hackers use. “A phishing campaign sent to 50 people will net five to six victims in the catch,” Mellen said. The takeaway was that there are three things every business should be doing: training and educating; investing in all three phases of security, which are protection, detection and response; and testing employees repeatedly without being afraid of failure. “I’m never a big fan of solely relying on technology to stop a problem for you; I think you still need to train your end-user to be able to identify threats,” said Nate Gravel, vice president of information security at web design and development firm GraVoc, in response to an audience member’s inquiry about specific applications that may prevent breaches. And if you ever find yourself on the receiving end of ransomware, the consensus was that you do not pay. “Contact your local FBI field office,” said Mellen, who told attendees that the FBI is willing to help businesses negotiate with hackers. Of course, the best course of action isn’t to rely on a third party to deal fallout, but to prevent these problems in the first place. 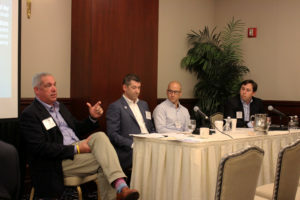 Konrad Martin, CEO and director of business development at Tech Advisors, reminded attendees that “your best security is based on your weakest link,” and as such training, education and awareness are the best defenses for businesses of any size. The breadth of diversity and depth of experience in this year’s family business conference proved helpful to many attendees, as evidenced by lively discussions during the well-attended talks. One of the most common themes was the realization that certain commonalities exist between companies, whether they have 10 employees or 1,000 and operating revenue of $200,000 a year or a half-billion; some businesses practices are superior, independent of size or industry. And for those who attended, concerned about legacy and the future of their family’s livelihood, this year’s conference showed that there exists a supportive community from which this special breed of businessperson can gain strength. 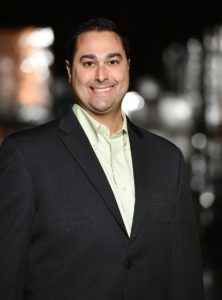 Mike Flaim is an associate editor with The Warren Group. He can be reached at mflaim@thewarrengroup.com. Deb Drapalla contributed to this piece. She is the regional president of Webster Bank, and can be reached at ddrapalla@websterbank.com. 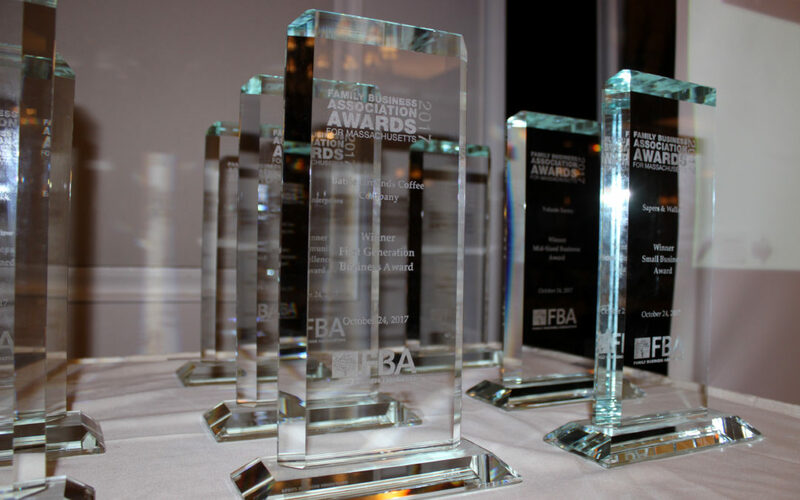 The ninth annual Massachusetts Family Business Awards took place this year on Oct. 24, the evening prior to the Family Business Conference, at the Colonnade Hotel in Boston. 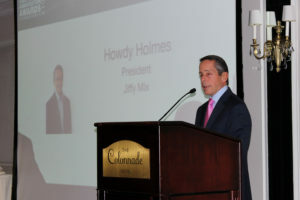 Howdy Holmes, former racecar driver and now CEO of Chelsea Milling Co., the makers of Jiffy baking mixes, was the keynote speaker at the awards. 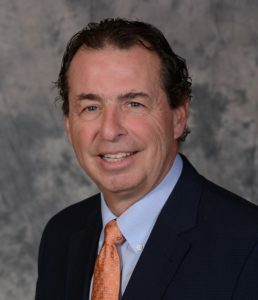 With his unpretentious demeanor, enthusiasm for family enterprises and a honed ability to convey his business acumen in a way that feels personalized, Holmes was a natural choice. Holmes’ enthusiasm and wit was in good company thanks to comedian and emcee Jeff Smith (who goes by J Smitty if you see him on Kevin Hart’s “Hart of the City” or in a Boston comedy club). Businesses from all over the commonwealth were recognized; read their stories in the pages of this issue of Family Business Magazine. News of global cyberattacks have businesses, institutions and individuals on edge. People understand just how serious a threat it is. The percentage of middle market businesses now carrying some form of cyber liability insurance has jumped dramatically in the last decade. While insurance is important, prevention is preferable. Businesses should do everything possible not to find themselves in the position where they need to use the insurance they have wisely purchased. Famous last words: If you have anti-virus and anti-malware software, the last thing you need to worry about is a virus infecting your computer, right? Wrong. Hackers don’t sit at home thinking they can’t get around the latest virus and anti-virus protection and give up. They are extremely sophisticated and clever criminals that continue to create new ways to trick you. They make a fortune by stealing your information. So even though you have the latest anti-virus protection (which you should! ), they are already figuring out ways to trick you into inviting new viruses and malware into your system. The best anti-virus protection is only as good as the team using it. Two specific threats are widespread in the business world: ransomware and spear phishing. By staying educated on these technological scourges, you should be able to identify and avoid them. Ransomware is just as it sounds: a virus that infects a system through an unsuspecting user clicking on an attachment will start looking for data to encrypt. Once it does, that data can only be unencrypted with a private key, held by the hacker who holds that information ransom. Typically, the hacker will request the ransom payment in bitcoins (a form of cybercurrency), and because the payments are usually a relatively small amount, it tends to be easier to pay the ransom than restore all the files from backup. Spear phishing is a new twist on an old trick. A phishing email tends to ask questions that seem benign, or the message tries to entice you into clicking on an attachment that supposedly includes information about package tracking or an IRS refund. Spear phishing is a technique where the email appears to come from someone you know, usually in an authoritative position, telling you to transfer funds or click on an attachment. To the recipient of the email, the email looks legitimate. However, the email is actually coming from criminals using a technique to capture the boss’s email and then, for example, request that tens of thousands of dollars be transferred to fictitious bank accounts. Once that money is transferred, it is almost always gone. Or the case where “the boss” asks an employee to send him several dozen W2s. Then, once done, that opens a Pandora’s box of legal and financial problems for the company and the people whose information has been breached. There is no magic anti-virus protection that can cover all dangers. The best protection a business can seek is through education, supported by awareness, training and policies. End users must know that even the most innocuous email, website, Facebook post or article can contain a virus or malware. Read carefully before clicking – and if there is the slightest doubt, don’t do it! Usually, there is something that seems out of place. The grammar is a little off, you were not expecting a refund from the IRS, or you haven’t ordered anything that you need to track. With awareness, training and effective policies, something in a hacker’s attempt will usually jump out at you. That is how to prevent these nasty viruses and malwares from locking up your systems and costing you thousands and thousands of dollars in downtime and ransom money. Here are a few steps that you can take as a business owner to lower the risk of being hacked. Tell your employees that if an email looks even mildly suspicious, do not open. Forward to your IT department for evaluation. Develop strong passwords for your company. Far too often people use passwords like “123456” or “letmein” or “password.” Hackers know the common ones; yours should have a variety of characters, including symbols. Consider a cloud-based data protection system to supplement a strong password policy. There are companies which will do this for you for a reasonable monthly amount. Avoid “free” offers. They are potential trouble. Develop and enforce a strong policy regarding employees using their personal devices. Whether that’s a tablet, a home computer or a phone, every device connected to the company infrastructure offers hackers an opportunity to get inside. If you do allow employees to use their own devices, you have the right – and the obligation – as an employer to tell them what they can and cannot visit and access. Train your employees. Partner with a strong IT consultant who is knowledgeable and can spend time with your employees to help them identify and avoid threats to your infrastructure. Consider running vulnerability assessments against servers, workstations and networking equipment to ensure risks from vulnerabilities are mitigated. Have a strong backup system for data, in the cloud. Be sure that your Written Information Security Plan is up to date and that your employees are familiar with what they can and cannot do. Education is key. 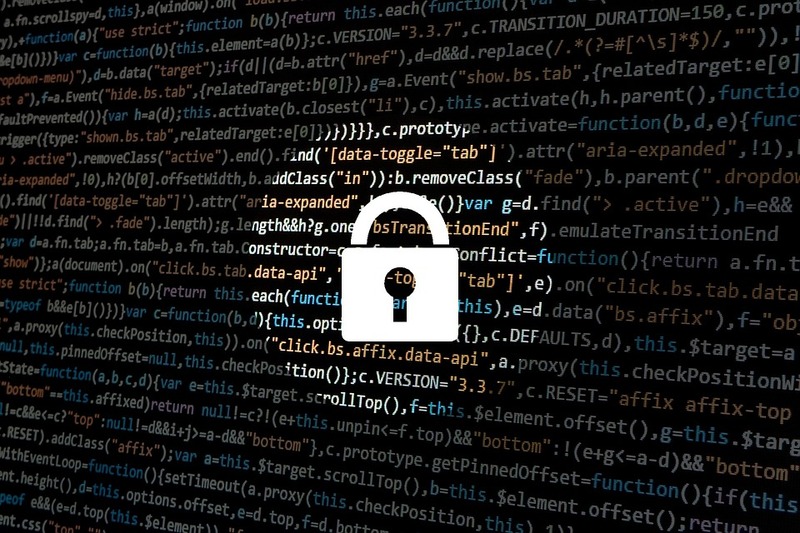 Knowing that there are threats out there and how to recognize them will save your company both time and money – and help you do what you do best: running your business without interruption. Konrad Martin is CEO of Tech Advisors, with offices in Medfield and Boston. When a family business has endured for four generations, it must be doing something right. But in the case of Ayer-based Catania Oils, a processor and packager of organic, non-GMO vegetable, olive and blended oils, that something might just be a desire to continually change and improve. 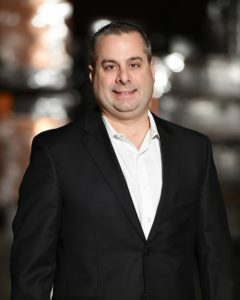 Stephen, along with his brother Joseph Basile, president, are leading the way as the fourth generation to put its mark on the business. Recently that leadership has included unveiling a new company name. Long known as Catania Spagna Corp., the company in February changed its name to Catania Oils to better support the brand. Troubles with the company’s original name, Catania Spagna Corp., included frequent mispronunciation of “spanga.” The original name also made no mention of the company’s actual product, oils, which could cause confusion. “Even once we’d explain to people that we’re in oils, they would say, ‘Oh, like fuel?’ And we’d have to explain, ‘No, like cooking oils.’ That’s why our logo is [an image that’s half plant, half oil drop] giving off those more natural, earthy tones that speak to plant-based oils,” Stephen said. The name change also helped align the company’s offerings with its existing reputation. The history of Catania Oils began in a small village in Sicily where Giuseppe Basile – great-grandfather of Joseph and Stephen – started selling oil in his neighborhood. Giuseppe immigrated to the United States around 1900, landing at Ellis Island before settling in Lynn, Massachusetts, where he continued the work. “He started selling oil door to door with the hopes of creating a family business without really knowing what the legacy would become,” Stephen said. Today, Giuseppe’s one-time door-to-door business operates in a more than 250,000-square-foot facility in Ayer. Packing more than $225 million in oils each year for customers including Stop & Show, Whole Foods and General Mills, the company employs more than 140 workers, including 13 family members. The oldest members of the company’s fourth generation, Joseph and Stephen began their tenure at the family business when they were barely teenagers. “My grandfather would pick us up and bring us to the plant just so we could be around it … It was really just about having fun and being with our grandfather. We would be given tasks to do like sweeping the warehouse and helping him with local cash sales,” Joseph said. As the brothers got older, they became more involved in a variety of different roles in the company. In addition to the name change, the fourth generation of Basiles has been leaving its mark on the business in many other ways, including improving its technological capabilities. While Joseph and Stephen embrace new challenges, they continue to deal with the same conundrum facing all family business, no matter how long they’ve been around: how to strike the balance between business and family. Joseph said one of the most important things he learned from his father and grandfather growing up was the importance of being able to put the business first. Going forward, they want to make sure they have “the right people in the right roles to grow the business,” regardless of that person’s last name or how long he or she been employed at the company, Joseph said. And while both brothers appreciate the history and value of working with their relatives, their view of the company’s family extends far beyond an employee’s last name.